I recently travelled to Antarctica. And as I could expect, the journey to the end of the Earth was as exotic and other-worldly as it could get. Accessible only between November and March -- which is summertime in the Southern Hemisphere -- and without any permanent habitation, Antarctica is the last greatest wilderness on Earth. Short of travelling to the moon, no other trip offers an experience as remote as a trip to this giant land mass of ice. It is often said that an explorer is only worth his salt after crossing the Drake Passage, one of the roughest water bodies in the world. The journey itself will require you to change at least three flights if you are flying out of India. First you fly into Buenos Aires and another 3.5-hour flight to the southernmost tip of the world, Ushuaia (it is also regarded as the Southern-most city in the world), will get you to the port to board your expedition cruise. It took us almost 48 hours across the Drake Passage (known as the Drake Lake when the seas are calm or the Drake Shake when you get tossed around like you're in a washing machine!) before the gleaming white albatrosses circled the deck of our boat, announcing that the first sightings of land were near. 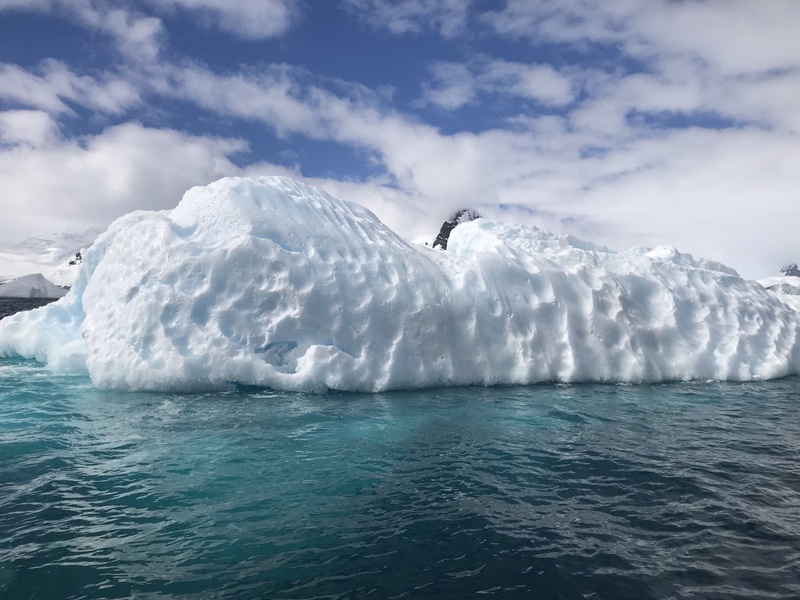 Sure enough, as passengers pulled out their hi-definition cameras and bulky zoom lens, we spotted a majestic chunk of Antarctic ice, glistening gorgeously under the sun’s rays. We had finally arrived! Things to carry Contrary to popular belief, you aren't quite required to dress up as an Eskimo in Antarctica, at least during the summer months. The cruise liner should provide a nice warm parka (a jacket with a hood) for you to keep and you can rent the boots on the cruise itself (though you will be required to provide your size in advance). What you will need is layers. Carry two-three pairs of inner thermals, a down jacket and a fleece, along with waterproof/ ski pants. A woolen beanie, few pairs of woolen socks, inner and outer gloves will suffice. 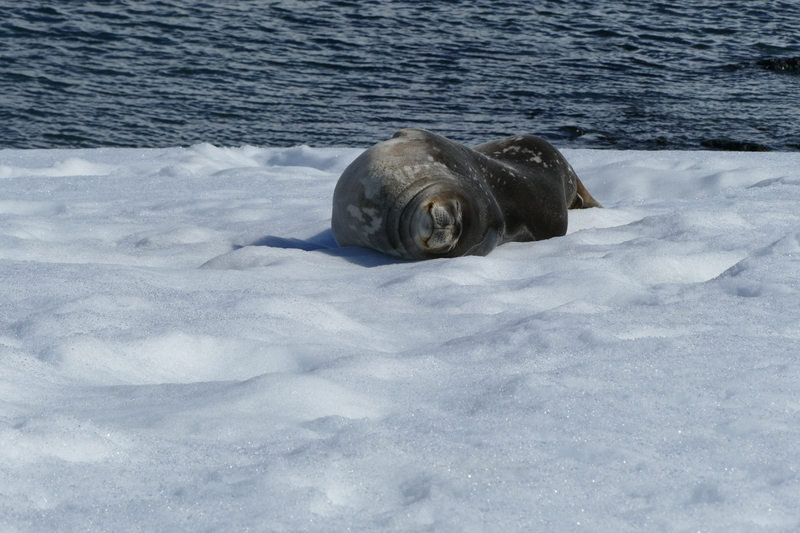 The Antarctic sun can be a bit harsh so a good sun block with high SPF and a pair of shades are imperative. Antarctica is a photographer's paradise and a good camera (preferably with a waterproof case) with spare memory cards is essential. Although sea sickness pills are provided on board, it is always a good idea to carry a few of your own as well. You are very likely to encounter rough seas at least one way across the Drake Passage. I chose the MV Sea Spirit with Poseidon Expeditions for their luxury, the size (about 100 people) and the expertise of the crew. 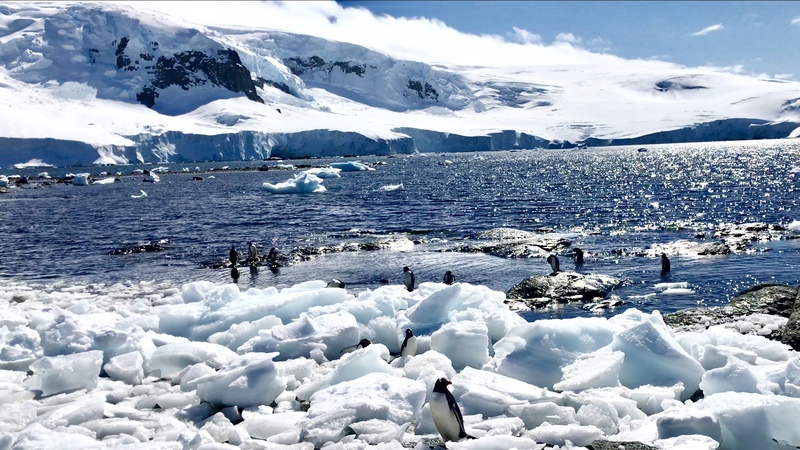 While the company offers longer duration trips of around 20 days as well, the 11-day 'Best of Antarctica' trip around the islands and peninsula suited me the best! Expedition cruises are usually small, as they should be, because one can't have more than 100 people disembark at a particular landing site at any given point. Although many of them tend to be basic, we were pleasantly surprised by the high level of comfort and service on our cruise. The rooms were well-appointed with extensive wooden paneling. A cozy common lounge area with a bar and a coffee machine meant that someone was always up for a chat. No access to Wi-Fi (except a basic email service) gave us the opportunity to disconnect from the world and connect with each other. An adjoining library with an extensive collection of books on the Polar regions served as a good spot for board games as well. A briefing room with our expert crew gave us rare insights into the Polar regions, and also doubled up as a movie theater and a karaoke bar at night! Gourmet cuisine and Indian dishes every other day (a big hit with the Westerners as well) ensured that going into a food coma was a daily occurrence. When the sun was out, dining on the outdoor deck fitted with a Jacuzzi with and your favorite tunes blaring would have you believe that we were on a Caribbean cruise. 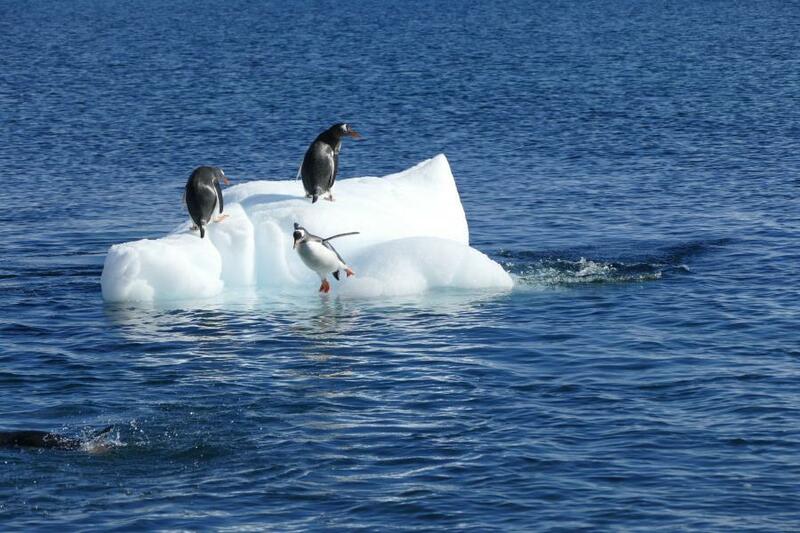 An average day in Antarctica involved at least a couple of landings (weather permitting). 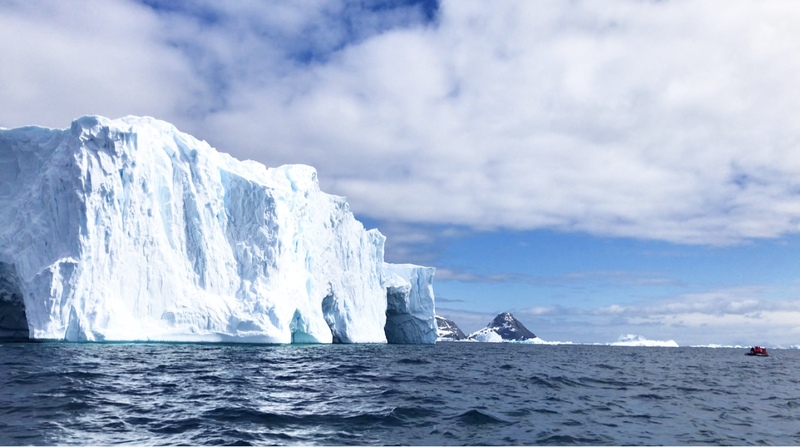 We were divided into groups and zoomed around the Antarctic waters in our inflatable zodiacs as we marveled at the jaw-dropping icebergs before we got onto land. Penguins were a huge novelty and had us furiously clicking away. We must have seen several hundreds if not thousands during the course of our trip. Seals were another big draw, as were the whales. In fact, I was very keen to witness the humpbacks and orcas, and wasn't disappointed when they swam up close to our expedition cruise. Some of the popular landing sites include Portal Point, Neko Harbour, Paradise bay, Cierva Cove, Mikkelsen Harbour and my favorite, Deception Island. While each of these sites have an interesting back story, I found it particularly interesting to learn that Neko Harbour used to be a sea of red as it was a popular site to hunt whales. Mikkelsen Harbour is named after Norwegian whaler, Captain Klarius Mikkelsen, who, in the 1930s, and unusually for those times, had his wife Caroline accompany him. She became the first woman to set foot on Antarctica at the Vestfold Hills at this harbour in 1935. Deception Island, located in the South Shetland Islands just above the Antarctic peninsula is an active volcano. Dig a small hole and you can feel the hot water under the black sand beaches. A little more time and I would have been totally up for a thermal bath on an Antarctic island! 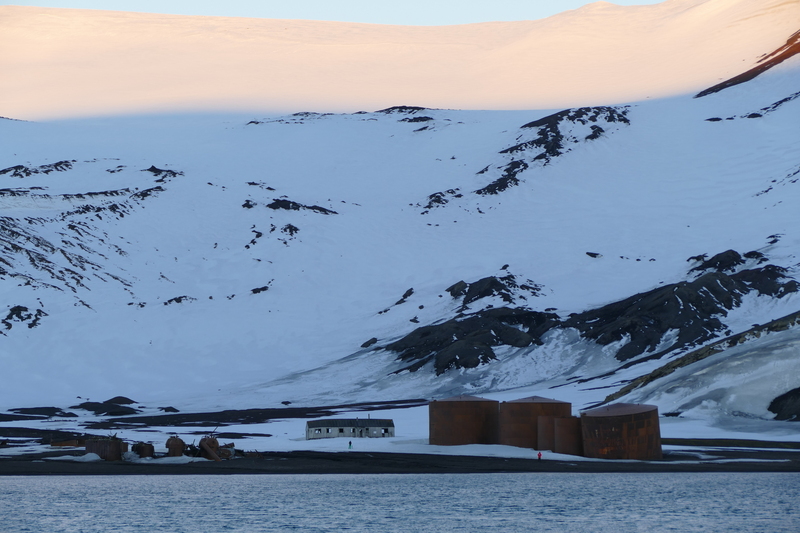 With rust colored boilers (used to extract whale oil), abandoned wooden buildings and rotting boats, Deception Island was a bone of contention between Britain, Argentina and Chile in the 1940s and 50s with all three countries vying for the sovereignty of the island. Today, it is a popular tourist spot with Spain and Argentina (in accordance with the Antarctic Treaty between nations) conducting scientific research during the summer months. Another highlight was the 11km long and 1600m wide Lemaire Channel, popularly nicknamed 'Kodak Gap' for its scenic route. Port Lockroy, a British base is one of the most visited sites in Antarctica. This tiny piece of land houses a museum, a post office, and a souvenir shop, with all proceeds donated to the Antarctic Heritage Trust. 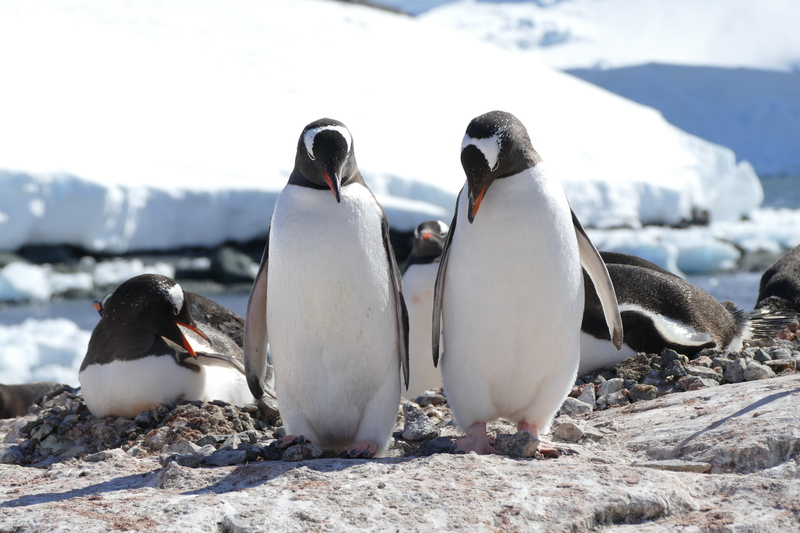 Collectively run by four women, the only inhabitants on the island in the summer months, I was intrigued by their stories on life in Antarctica. Camping: I can't claim to be much of a camper but a chance to spend a night on the frozen continent was too hard to miss! At 9:30pm, we were taken to our camp site in our zodiacs, where we dug a pit to lay our sleeping bags for an overnight stay. Spending a night here in pin drop silence, apart from the occasional rumbling of ice carvings was a surreal experience. Kayaking: Another fun activity involved gliding through chunks of ice in the calm Antarctic waters (weather permitting). I'd add that it was also a wonderful opportunity to burn off those pies, cookies and desserts that we gorged on every single day. Polar Plunge: Here is when peer pressure got to me! When sixty people decide they're going to jump into minus 1.2 degree Celsius freezing Antarctic waters in just their swimwear, it's a tough one to wiggle out off. 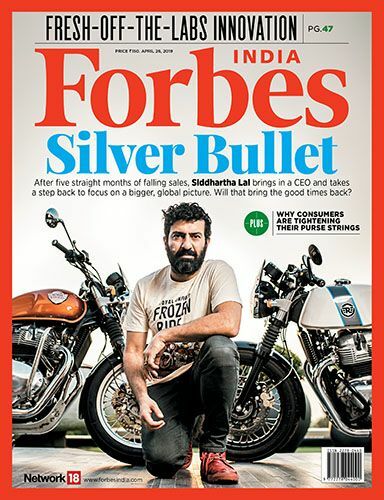 Nevertheless, the experience has given me bragging rights, and I suspect I will be talking about this one for a long, long time! Prices start at $8,000 exclusive of air travel cost. You will also need a visa for Argentina.